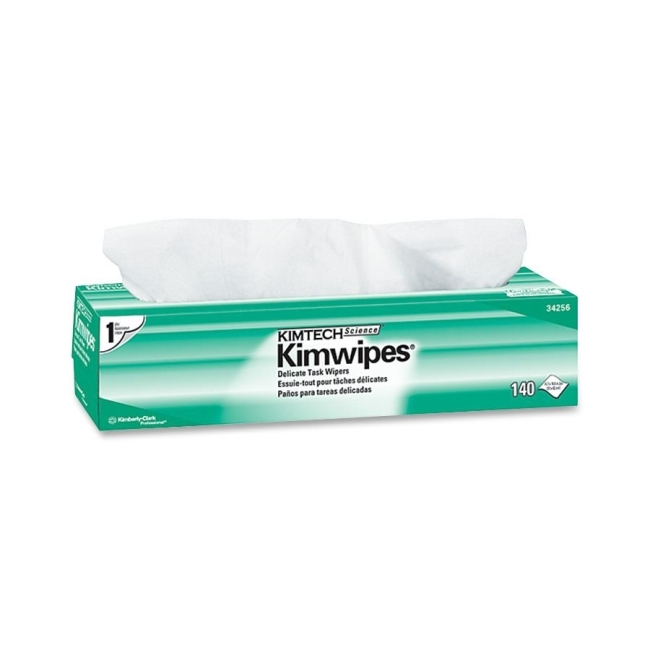 Full Size: 14.70" x 16.60"
Kimberly-Clark 34256 KIMTECH SCIENCE KIMWIPES Delicate Task Wiper - 14.70" x 16.60"
KimWipes are light-duty wipes that can handle a variety of delicate tasks. Ideal for laboratory cleaning, surface/parts cleaning, instrument cleaning and lens cleaning. Easily wipe up liquid and dust. Unique Pop-Up dispensing reduces lint and static charge, controls usage and reduces waste.